It was around this time that Paddy, who’d drummed in The Gypsters, suffered a “weird” collar bone injury that made him unable to play drums anymore. A bassist by trade, he picked it up and connected again with Ian Reed and Joel Kenworthy from The Gypsters. As summer turned to fall they connected with Jimmy Colvin, a local drummer who they quickly clicked with. By January of 2015, the band was back playing live, making their debut at the Alt Library (their Railroad location). Those days Actionesse was a five piece, though, guitarist/keyboardist Phil Kaltenbach moved to Illinois in October of 2017. 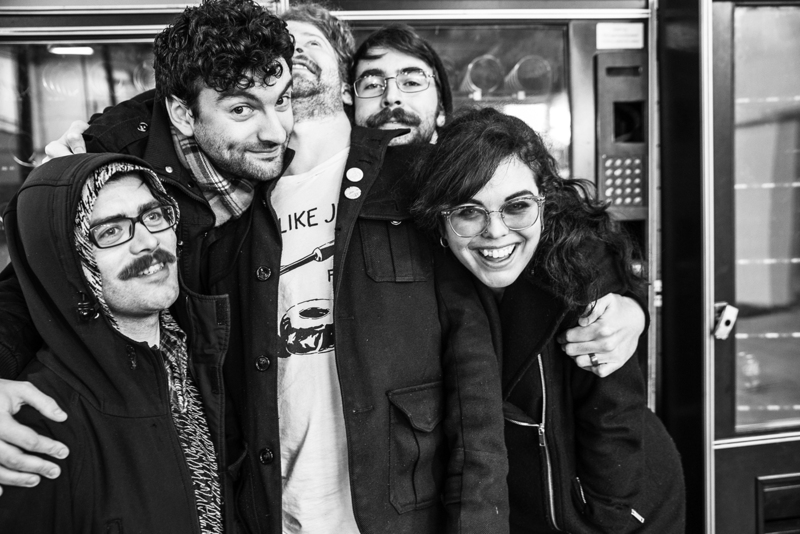 But, as is often the case for Bellingham bands, it came time to move to the big city and over the course of the next year, one by one the members of Actionesse made the move to Seattle. Olivia came on just as the band thought they were done writing, having completed the second to last song on a new album which is scheduled to be released this spring. The band ended up revisiting the songs, rewriting them to add Olivia’s parts while also reworking the songs from their last EP, rerecording with new drums, some new vocals as well as Olivia’s parts. Along with releasing a new album, the band will be touring for two weeks, hitting major cities in Oregon, California, Nevada, Arizona, New Mexico, Colorado, Utah, and Idaho with a special home show. This will be the band’s third major tour, hitting the road each of the last two years. With a new album and tour on the way, Paddy reflects, simply, the importance of music for the band. “If we didn’t have any music, I’d go insane,” he said with a laugh. Catch Actionesse at The Firefly on February 16. For more about the band, see www.actionesse.com or follow them on social media.